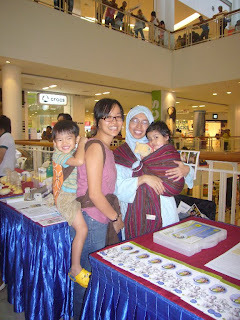 Please accept my sincere apologies for not being there on the planned events, namely the Waterbirth forum at Pantai Bangsar (15th Aug 09) and the Tiny Tapir babywearing event (16th Aug 09). 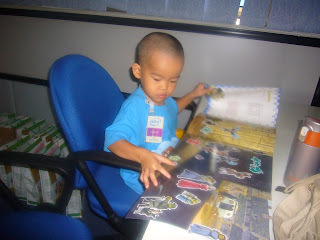 My little Arthur was admitted to hospital on the 14th Aug 09 as we were preparing for our journey to KL that day... he had a fit due to high fever. All is well now so please do not worry. I hope we have not let you down in any way. 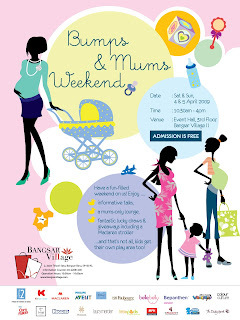 We hope that we can bring babywearing closer to you for many other events to come. Do drop by and check it out! 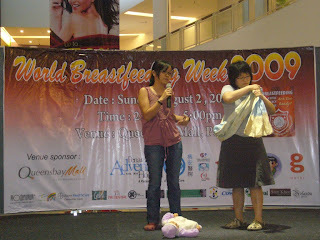 World Breastfeeding Week celebration is extended further by Baby Paradise in Penang with more visits to Intel. 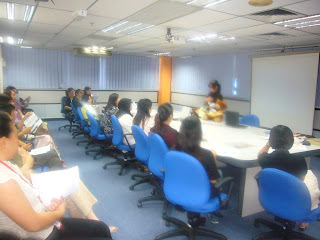 Following the visit to Dell last Wednesday, we were glad to be part of the event in Intel, Penang, too. 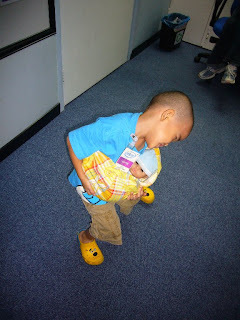 As this is a fairly new group of Mothers, we did the Introduction to Babywearing... working from the easy and convenient pouch to the ultimate babywearing gear... the wrap. 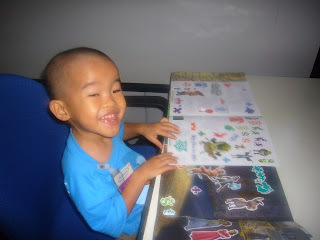 And... just as I brought out the wrap... Arthur came and stood beside me (he was quietly doing up his sticker book all the while before)... could it be he is trying to show us his preference? So, how can resist?? A demo with a child! It was a surprise that the wrap got the most attention and the most questions of all. 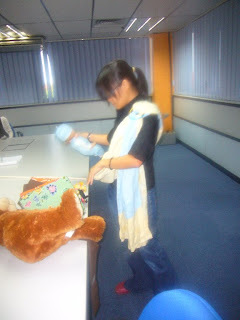 This is indeed the first time people did not favour the one shouldered varieties... the pouch and the ring sling. Well... I wonder if Arthur taking part in it made the difference? And, that's my boy truly enjoying himself and all the attention he got... and he says he wants to go with me to the next one, too! 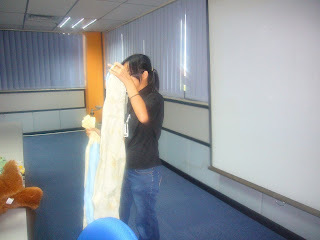 Well, that's tomorrow in Intel, Kulim. It was a cloudy day and it was raining on and off. The gatherings in the previous few months has not been quite lonely with only a few showing up due to various commitments and weather changes... the sign up on Facebook is always more than the numbers that actually turn up... Shida was down with flu and cough and well... we just have to make the best of things and go on with the gatherings that we promised. 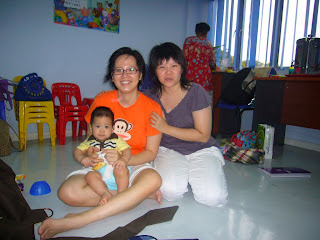 We were excited to be able to meet up at someplace new and more interesting. 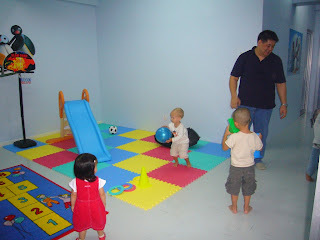 A place where toys and games are readily available... where children can have fun... safely within the centre. Big thank you to Alison (a regular attendee) for letting us use the place for our monthly gatherings. We much appreciate the opportunity. The turn out was surprisingly better than many months ago and we had good fun catching up with people whom we have previously met but not join us for a while. 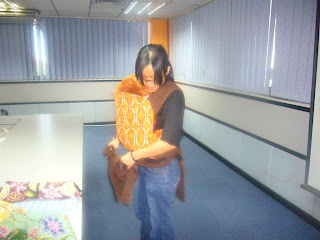 The talk at Dell last Wednesday brought us a new member who was interested in the Mei Tai and signed one out after registering as a Carrier Library member. As always, we are all very excited seeing another new attendee bring a newborn. 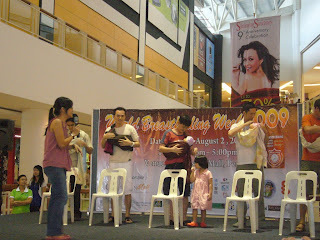 After some introductions by Debz on the different carriers available, the SSC attracted the new Mommy the most. So, here we go, having a 2 month-old in an SSC after much caution in putting the baby in the correct position, with muslin wraps to support the head. Most are surprised that an SSC can actually work for a baby that small. 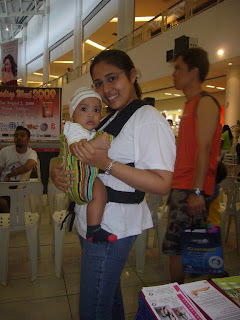 Until we meet again, have fun babywearing! 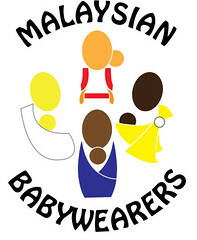 MBW has been invited to promote babywearing by introducting to participants (i.e. 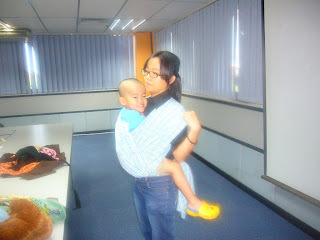 factory employees) what babywearing is all about. Through a simple introduction, working out from the easiest and most convenient pouch to the ultimate but complicated wrap, participants were attentive with questions after the session. 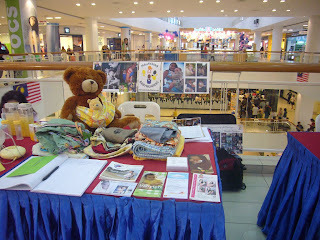 On this beautiful Sunday, we were invited to be part of Adventist Hospital, Penang to Queensbaby Mall, in conjunctions with their WBW09 event. Which they later used to wear their dummy babies ... the fastest with the best positioning (in terms of safety and snugness) wins! One had the rings too close to baby's head... another had the baby all crunched up... and one looked like he was trying to breastfeed! Look out for more... we sure are going places in August and September. 21st-28th September 2009 is International Babywearing Week! 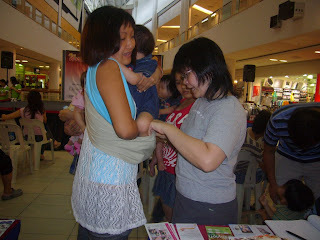 It was a fun day where Malaysian Babywearers gathered for a fun-filled Babywearing Show where we introduced the many options to Mommas and future Mommas. We had a catching up session with our families after the event in Coffee Bean.